When he learnt his son was missing, Kenneth Cooper did not spare a thought for his own safety as he scoured the country for any sign of Daniel Cooper. Although the search ended in sorrow when police discovered Daniel’s body yesterday, Kenneth believes his efforts paid off since on Tuesday night, he spotted one of the men he thinks is responsible for Daniel’s murder. When he saw the man, Kenneth, 56, contacted police and within minutes, the suspect was detained. Yesterday, that man and two others were in custody, while the search is on for a fourth suspect. 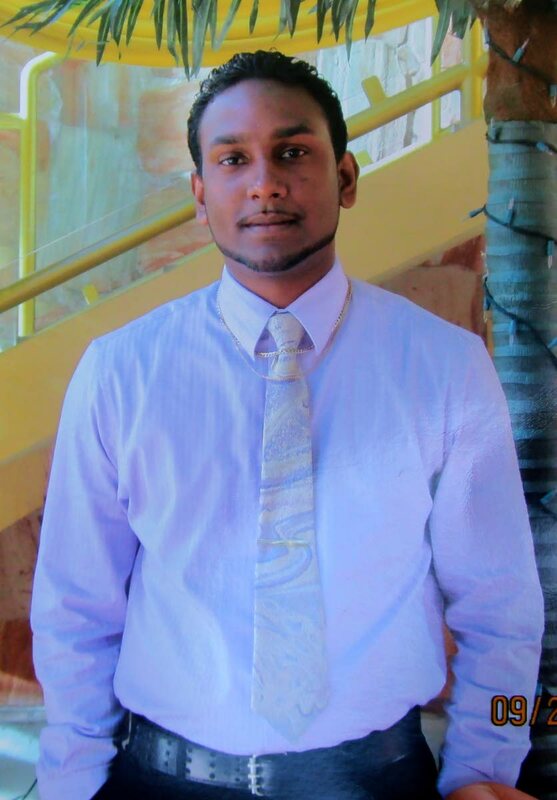 At 9 am yesterday, acting on information, police went to a bushy area in Borde Narve where Daniel’s body was found. His car, a Bluebird Sylphy, was found in Realise Road, Barrackpore. Daniel, 29, a father of one, was shot once in the head. He was last seen alive on Monday at 4.30 pm leaving his workplace, Esau Oilfield Company Ltd in Gulf View, to pick up his three-year-old daughter from a daycare in Palmiste. Kenneth said he believes Daniel was murdered because of issues at work. 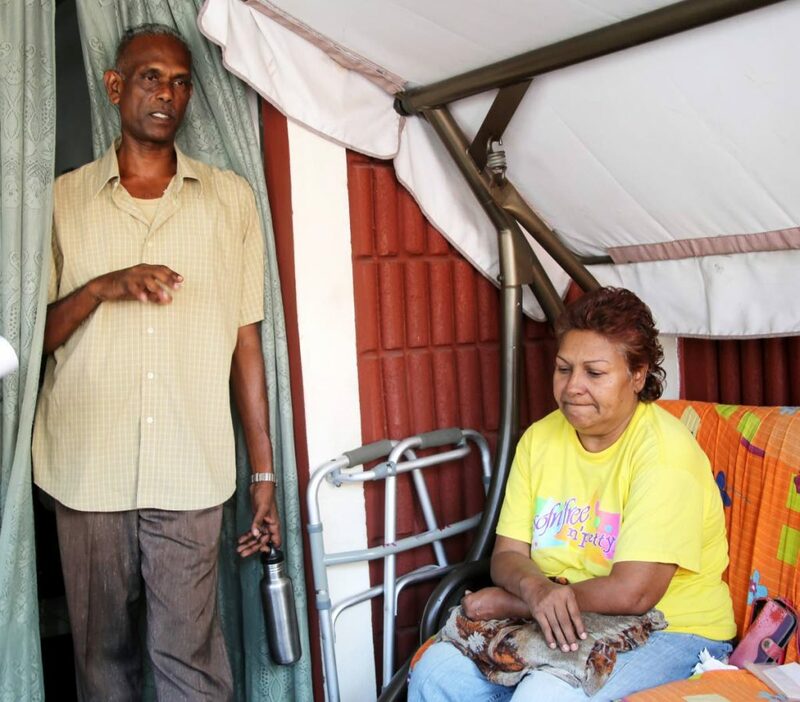 SORROW: Kenneth Cooper and his wife Naziroon Cooper at their home hours after police yesterday found the body of their son Daniel Cooper who was missing since Monday. Cooper (INSET) was shot once in the head. Relatives said Daniel worked as a safety officer at times and also as a warehouse attendant. “I believe this was a ‘hit’. He was threatened many times and although I begged him to report it to the police, he didn’t want to. He said it would only make things worse if police intervened,” Kenneth said. “When he went missing, I knew it had something to do with work because in December, they told him they will finish him off,” the father said. Kenneth said closed-circuit television (CCTV) footage obtained from Gulf View, showed a car following Daniel as he made his way to Palmiste to pick up his daughter. The vehicle was tracked to Diego Martin and on Tuesday, Kenneth visited the area, hoping for some news of Daniel. He believes that was where he got his first glimpse of the man whom police would later arrest. “I went up there and even police told me I was mad to go on my own, but I couldn’t rest knowing my boy was out there somewhere. People say where we went on the hills is very dangerous, but I couldn’t study that. I wanted to find my boy,” he said. Later that night, while driving through Princes Town, Kenneth saw the same car from the video footage. The driver saw him and drove off, but Kenneth followed him to a gas station, where he called the police. Yesterday, Kenneth said the situation at Daniel’s job frustrated him so much that he contemplated leaving several times. “I used to tell him don’t bother with any of it. I told him not to leave his job in these hard times because he has a family to take care of.” Police while confirming the arrests, said they have no motive for Daniel’s murder. An autopsy is scheduled for today at the Forensic Science Centre in St James.